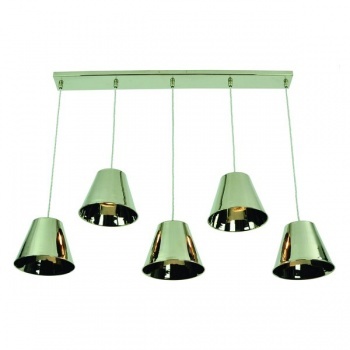 Description: Map Room 5 Light Pendant solid brass shown in Antique & Polished Nickel finishes. Static Height adjusts by shortening the cable (Note height to be set on installation then fixed). 5 x GU10 5.3w LED Dimmable lamp (supplied complete).